The Hammerhead MudHead is fully assembled, quality-certified and packaged right here in our very own United States of America. The MudHead comes equipped with a 208cc LCT electric-start engine as well as an additional backup pull-start. 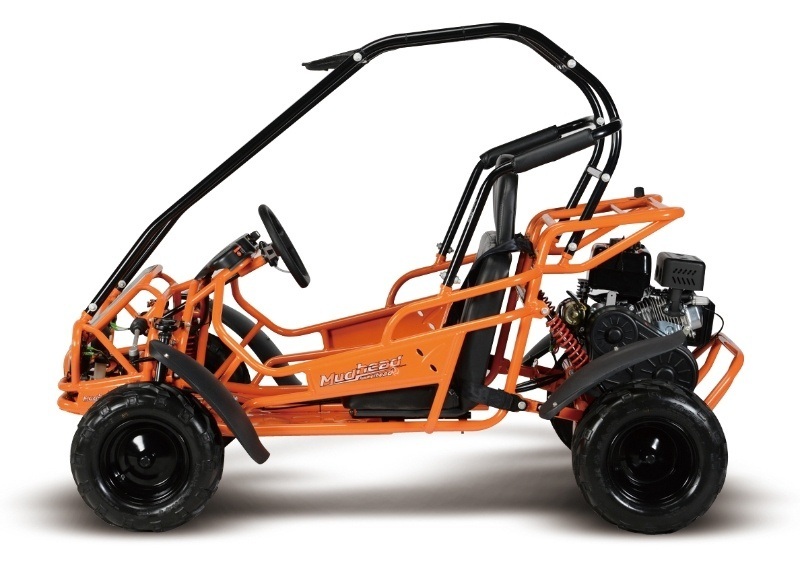 Other standard features include an adjustable driver’s seat with a manual choke underneath for all-weather starting, and LED headlights.The Mudhead is the ideal kart for riders age 10 and older.